Absolutely fascinating about SS. Cultural differences. I think he would have been euthed here much sooner...not judging, just observing. Carolinarkansas, I agree with you completely, Alydar was set up and murdered. I love the tack on Ruffian; just a free ring snaffle, no shadow roll, no tongue tie...the good days, God bless that girl! Great thread! oh i agree with you Captainmistress. He definitely would of been euthanized much sooner, but his caretakers there wanted to give him his dignity, allow him to do things his way because thats the type of horse that he was. They literally treated him as if he was a real person rather than just a horse. "Apropos was in her saddling stall when she reared up, became entangled in the wall of the stall, and fell hard to the ground. The mare bled badly as Arlington personnel rushed to raise a screen and hide the scene from the crowd gathered before the Saturday stakes race here. Apropos lay on the ground for more than a half-hour, struggling at one point to rise, and delaying the start of the following race. Her bleeding had subsided when she finally was transported out of the paddock and onto the backstretch in a horse ambulance. The mare was given time to attempt to stand on her own but apparently had suffered neurological damage when she fell. Dr. Ramley Borderlon, an attending private-practice veterinarian, said Apropos probably suffered hemorrhaging somewhere in her body and that injury might have contributed to her untenable condition. She was humanely destroyed Saturday evening." Cause of Death: Shattered his right hind leg in multiple places early in the running of the 2006 Preakness Stakes on May 20. Sent to University of Pennsylvania's New Bolton Center for treatment. 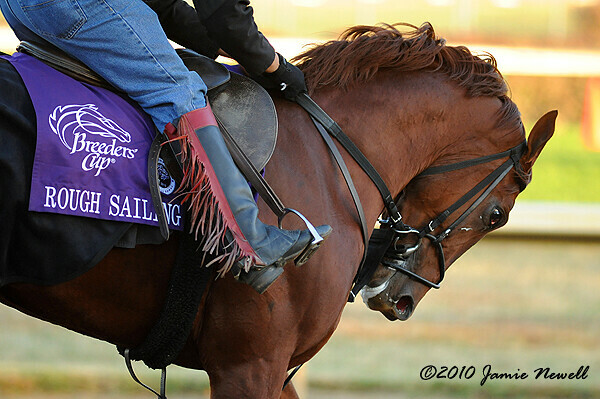 After an 8-month battle, euthanized at the Center on Jan 29, 2007, due to complications of laminitis. I dont think Turallure is on here. Cause of Death: Took a bad step and shattered his right hind pastern during a workout at Keeneland. In one of his workouts, he was a sight to behold with his mane and tail flowing wildly in the wind as he worked hard. Me either, you learn something every day! I still feel a bit bad for him, I mean.... 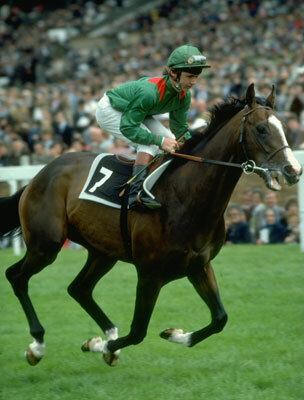 I love Ruffian but no doubt Foolish Pleasure was a great horse in his own right. But because of what happened, he will always remain in her shadow, and will always be cast as "the bad guy". Much like War Admiral and Seabiscuit. CaliforniaChrome1121, would you post one for Devil May Care. She died on May 4, 2011 from cancer. I was just heart broken when she died. Louise, I saw it on tv also and it was so horrible that I ended up sick in the bathroom. Hope never to see anything like that again. 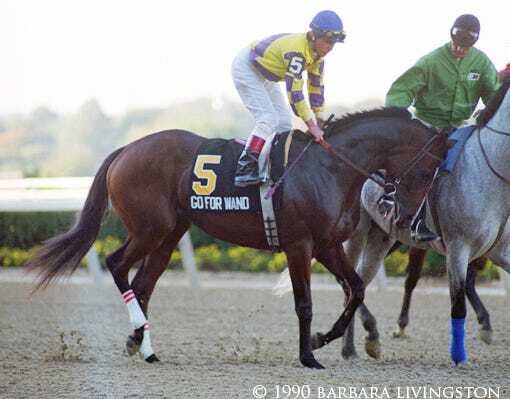 I wasn't even BORN when Go For Wand broke down but I remember when I saw the race video I just GASPED. It was so brutal, tragic, horrifying, and unexpected that I had to watch it a few times to convince myself it was real. And more terrifying yet was the jockey! Go For Wand was careening towards him on her back... And you could really see how big she was in comparison to him. I could imagine his panic and fear as he saw a half ton animal looking like she was going to hit him. And if she did, he would probably have been killed.